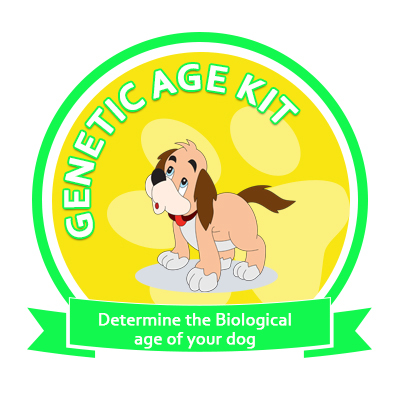 The Genetic Age Test is designed to determine the biological age of your dog. Genetic or biological age is different than chronological or actual age in that genetic age gives insight into the predicted longevity of your dog from a cellular level. This test was performed by measuring the length of your dog’s telomeres, the dynamic, protective caps on the ends of r DNA strands that tend to shorten with age. The test measures your dog’s Telomere length and this is processed through the Canine Genetic Age database of thousands upon thousands of dogs which match your dog’s Weight/Size Group as well as Breed. Your dog’s telomere length is matched to determine your dog’s actual genetic age.